Even the most committed meat eater cannot fail to have noticed the surge in veganism in the Netherlands. Marieke Mills has been checking out some of the best Dutch vegan restaurants and lunchrooms. Vegan restaurants are not just limited to Amsterdam anymore. You’ll be a happy vegan foodie if you live there, but Rotterdam and Utrecht have a number of vegan options as well. Vegan food and beer go hand in hand in Oproer Brouwerij. This restaurant and brewery is the go-to place for a plant-based dinner and a pint. Oproer Brouwerij is a merger between two breweries – Rooie Dop and Ruig – and the current restaurant was founded in 2016. Oproer Brouwerij’s vegan journey was one they stepped into by accident. The owners found a great spot for a pub, but were told the space was meant to be food-oriented. They decided to establish a restaurant. Oproer Brouwerij searched for great cooks and found two female chefs, who had experience in the vegan food business. The restaurant has employees with eight different nationalities and their chefs are from Italy and Finland. Mooshka is a small vegan restaurant in Amsterdam founded by Sarah Raymond. The restaurant was opened in 2016 and offers many different dishes. It has some burgers, but also an Ethiopian dish, which Sarah claims, has become very popular. 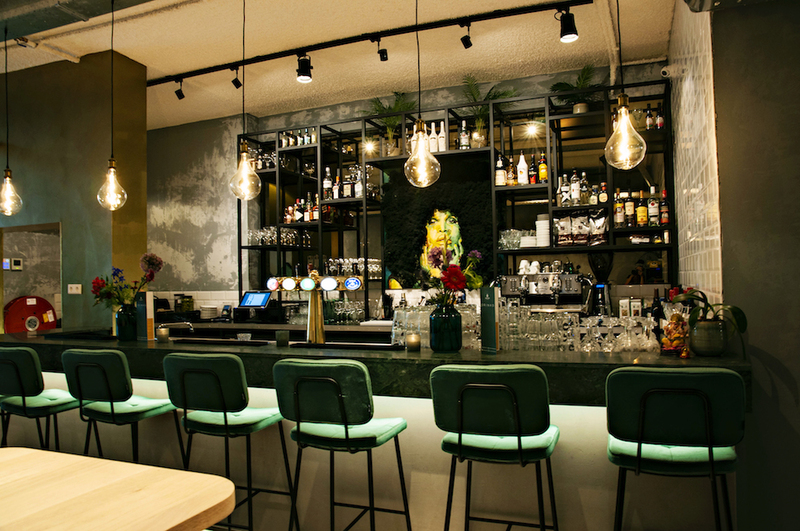 SNCKBR in Utrecht is the first fully plant-based restaurant in the SNCKBR chain. Floris Beukers and Naphassa Parinussa wanted to start a small burger company and ended up with a stylish restaurant. The motivation for opening SNCKBR is based on the founders’ own experience as vegans. ‘Me and my girlfriend went vegan two years ago,’ Floris Beukers says. ‘It was hard to find proper restaurants, order what we wanted and have a nice all-in experience.’ One of the places they did find was a burger company in Eindhoven, which had several vegan options on the menu. That burger company was SNCKBR. They were open to an all-vegan restaurant and collaborated with Floris and Naphassa for a franchise in Utrecht. ‘We’re going to start a revolution here,’ Floris says. 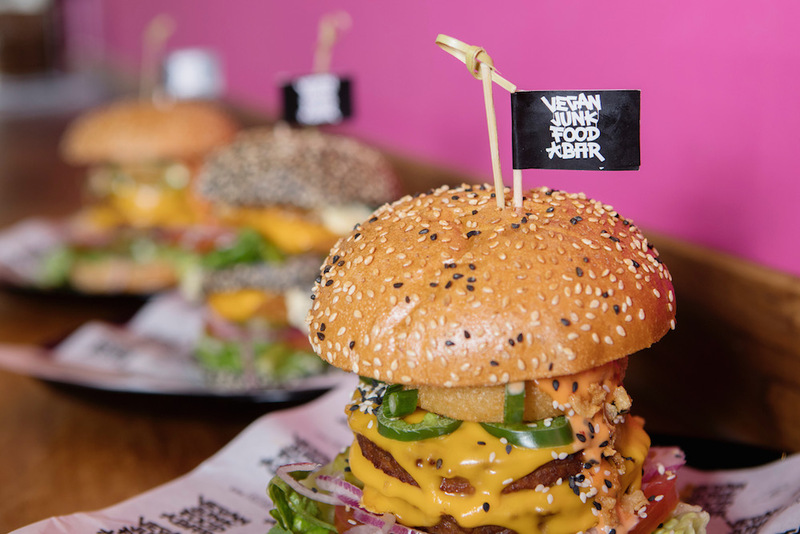 The Vegan Junkfood Bar was founded in April 2017 by Edwin Streep after he became convinced that going vegan is the only ethical option. Everything on the menu is plant-based and they also have some gluten-free snacks available. 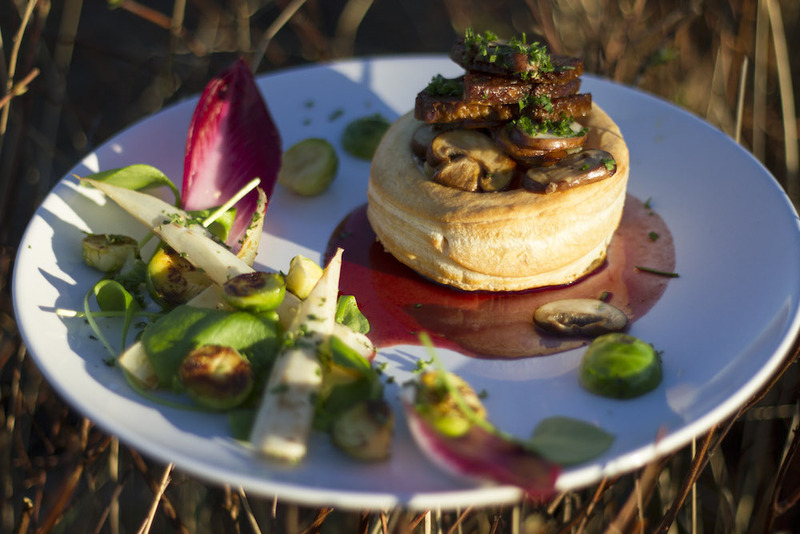 ‘With us you eat vegan without missing the taste or structure of meat for a second,’ says spokeswoman Mireille Sanches. The restaurant is keen on being a place for both vegans and non-vegans. The junkfood bar has already expanded to three locations in Amsterdam and the menu changes regularily. Vegan food comes in many shapes and sizes including cupcakes. Heavenly Cupcakes is a vegan patisserie and lunchroom in Rotterdam with a focus on sweet: their store is filled with cupcakes and pies. There’s, however, a little more to Heavenly Cupcakes. This vegan lunchroom also makes vegan cheese, whipped cream and meat substitutes, which you can purchase in the store. You can also enjoy a high tea in the lunchroom or have Heavenly Cupcakes set a high tea up for you at home.